This work was first presented at Atelier A.I.R in the Czech republic, Brno, in 2012. 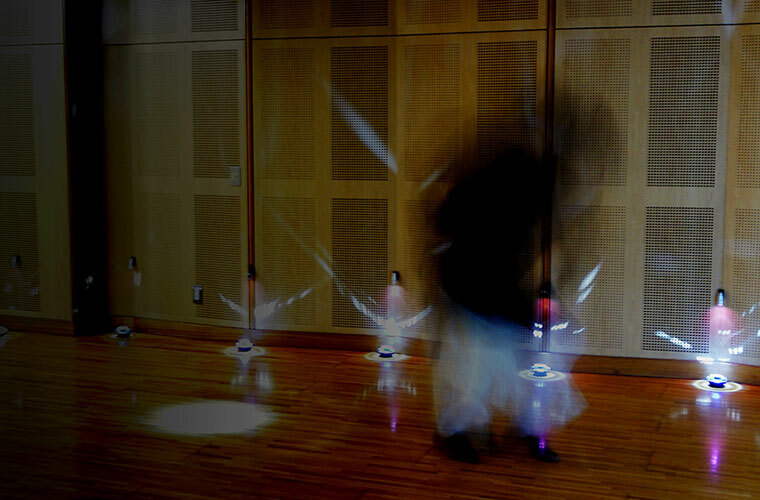 The following year it was recreated for the dance performance of Butoh dancer Minoru Hideshima as a stage background. 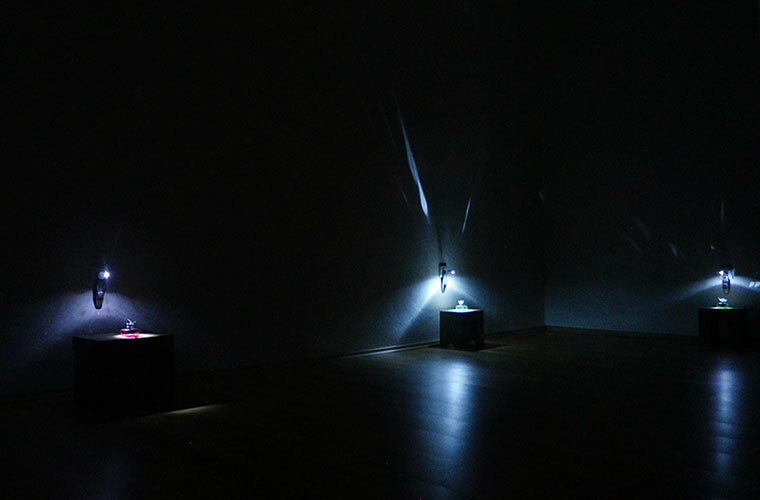 Continuing with the theme of time of Sasahara`s previous work, “Someday, that place in time” that captured the “Disunity of time”, in “Stargazer” Sasahara concentrated on the “Celestial time (the movement of stars)” and the “Unified city time (tolling of the church bells)” as the main themes of the work. The work consists of mirror shards put together into flower-shaped plates that were further attached to little clocks, no bigger than 10 square centimeters, with a small spotlight pointed at each “mirror flower”. 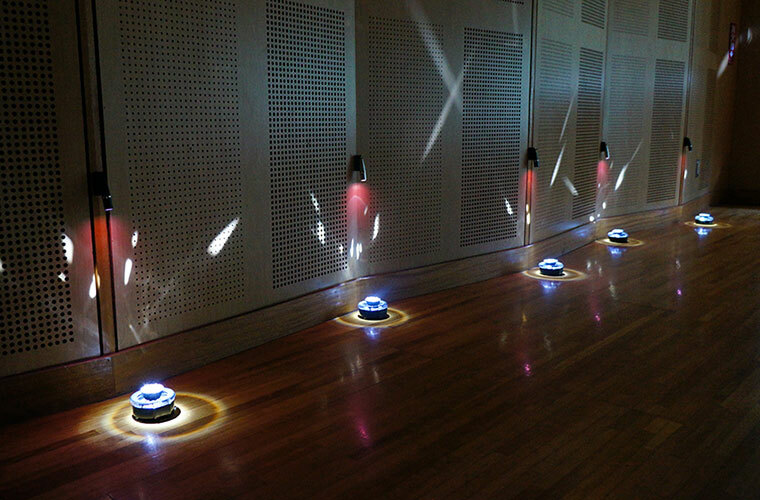 The “mirror flowers” would move together with the clock needles and reflect light from the spotlights onto the ceiling. 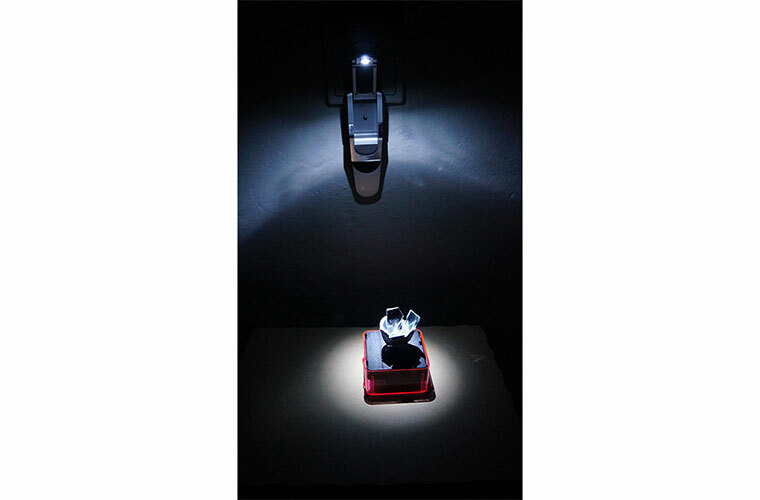 In the darkness of the room, the diffused reflection of light was dancing on the ceiling like stars in the night sky. 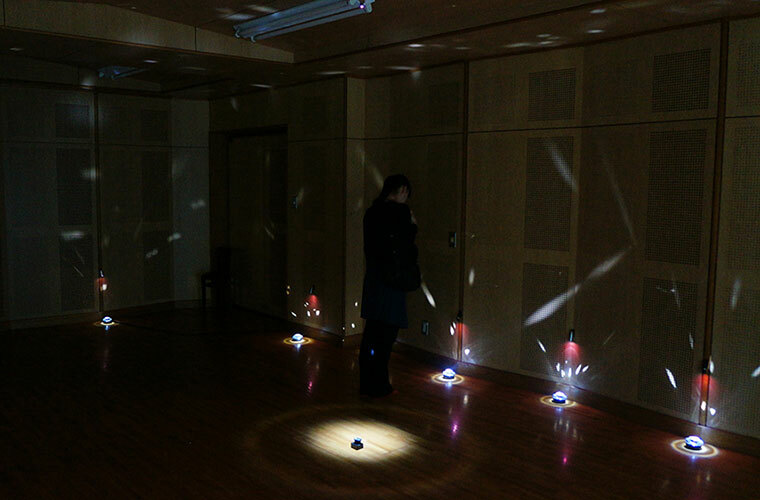 The irregular shape of the mirror shards created irregular light reflections, but the movement of the “stars” was regular due to the steady ticking of the clocks, creating an “Order inside of Chaos”.